I’m just back from my annual trip to Dorset, so my next few posts will probably feature a few new things I saw for the first time. 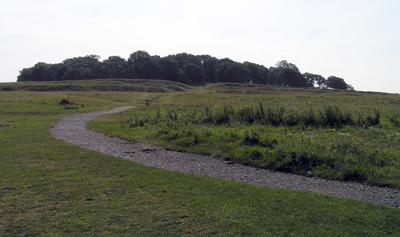 Last week (August 1) I was in Dorset and without any planning in advance I found myself going for a walk around the Iron Age hill-fort of Badbury Rings. 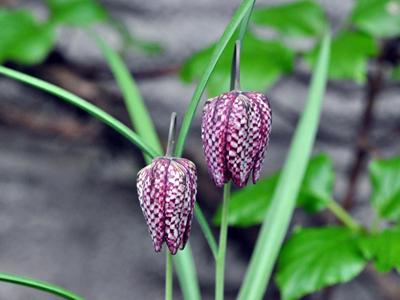 This week I took a picture of our often forgotten snake’s head fritillary (Fritillaria meleagris) in the garden. Every year it’s the same. I almost pull it out because I think it’s just some self-seeded grass – in all honesty I would have, if it hadn’t been slightly out of my reach on a raised bed. 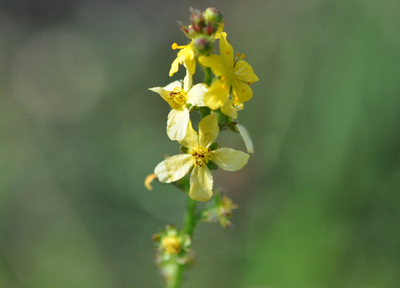 Then there is the butterfly – in fact a whole bunch of fritillaries, in the family known as Nymphalidae, which includes nymphalids and browns as well as the fritillaries. 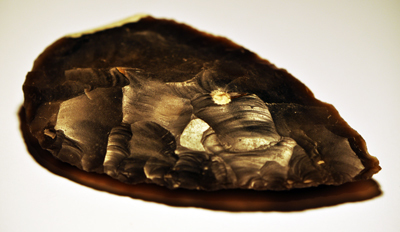 These musings on the stone called flint and its poorer-quality relation chert are prompted by the recent discovery of 120,000-year-old stone tools in the United Arab Emirates. Read more about that here. Those tools are made of chert, a fine-grained silica-rich microcrystalline sedimentary rock found in limestone. But when it is of fine quality and found in chalk, it is called flint. 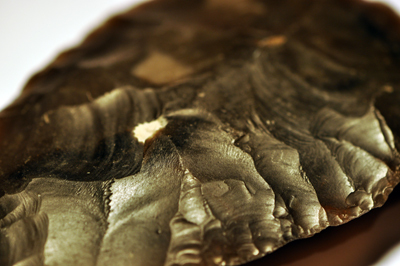 Worked flint is beautiful – hard, glassy, grey, touchable. 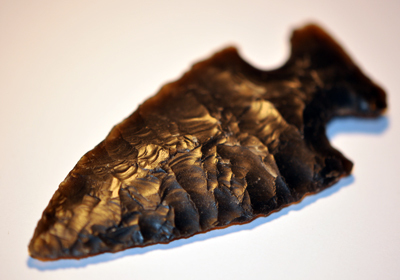 I first held it in my hands when studying prehistoric archaeology in the early 1970s. 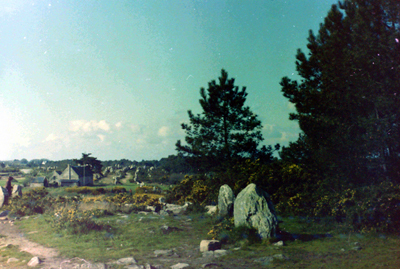 At the time Bruce Bradley (now Professor) was studying for his PhD in experimental archaeology at Cambridge University. He was famous even then for his flint-knapping technique – it was said that it was lucky he wore spectacles as they were covered in tiny chips from the flying fragments of stone and he would otherwise have been blinded. When he left he sold off many of his pieces. I have to admit I didn’t go to the sale myself, but my fellow student Matthew Spriggs picked up some flint tools for me. Thus I acquired the large hand axe, an arrowhead and a small sickle, all of which are pictured here. And thanks to the miracle of Google, I find Matt is now an archaeology professor in Australia. I wondered what had happened to him!